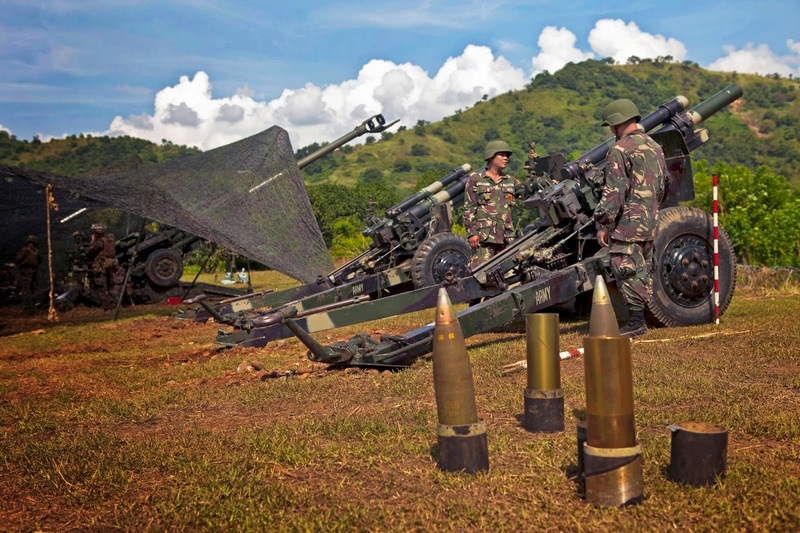 MANILA, -- The Philippine Navy (PN) is acquiring six 155-millimeter howitzers to improve the fire support and attack capability of its Marine units. "The project will be an additional capability for the Marines especially in the conduct of fire support for its operating forces," Navy vice commander Rear Admiral Caesar Taccad said. Aside from the gun tubes, sufficient stocks of 155mm ammunition will be also acquired, he added. Six 155mm gun tubes are equivalent to one heavy artillery battery. The weapon has a maximum range of 14,600 meters. The 155mm battery will supplement the existing 105mm guns of the Marines which only has an effective range of 11,270 meters. "The artillery system (will be) equipped with fire control computers, muzzle velocity radars, inertial navigation and target acquisition systems. It (will) provide the most responsive and accurate fire support to maneuver infantry battalions with maximum lethal effect and larger target range. As of now, the project is for re-bidding," Taccad said. U.S. Marines and Philippine soldiers prepare to fire an M777 howitzer during Amphibious Landing Exercise 2013.